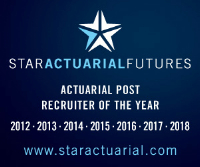 Another Star Exclusive - build your actuarial career on the cutting edge of insurance. Join this innovative firm where you will be a key member of a close-knit team deploying disruptive technology across international territories. This is an amazing opportunity for an intelligent and technically-astute actuarial analyst with a strong grasp of modelling and excellent Excel skills. Experience of SQL and VBA will be a plus, as well as any exposure to research, product development and pricing techniques. A creative and collaborative approach is a must together with the ability to work effectively within a dynamic environment. You will interact with many people, with extensive involvement with stakeholders and cultures across international borders, requiring a considered approach. The role will include travel to various international locations. Additional language skills will be helpful in this role. Contact us now for more details on this incredible long-term growth and development opportunity, offering study support to those looking to qualify as an actuary.